We are available for hire for YOUR private Holiday Parties, neighborhood block parties and company parties for the 2011 Holiday Season. 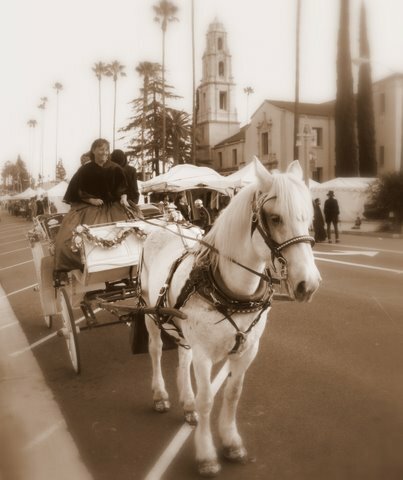 Surprise YOUR sweetheart with a romantic carriage ride in Downtown Riverside, CA . 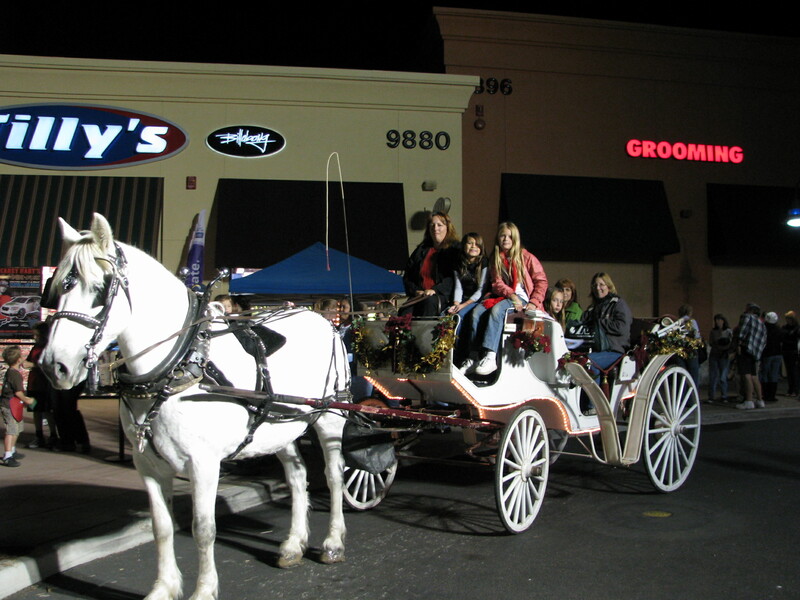 Reserve our whole carriage for a private ride for you and your sweetheart or bring the whole family. Just walk up and get right in at your reserved time. 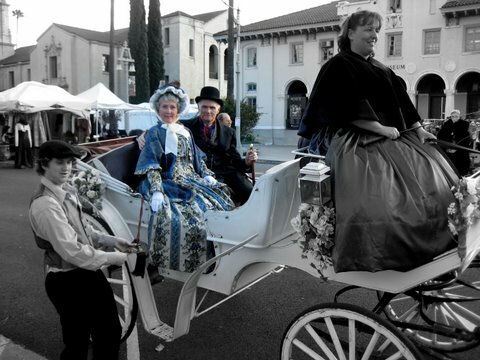 There are no bars or lights over your head on our open carriage to obstruct your view of the beautiful historic downtown buildings. Where? MAP Make sure you find Martini Ranch Carriages. There will be other carriages down there. We have over 20 years of experience and a PERFECT safety record! When? 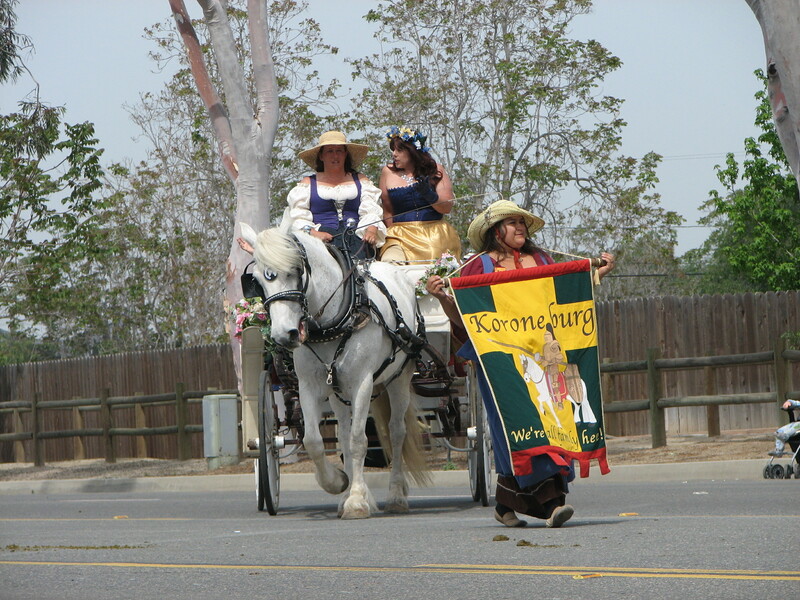 Carriage rides begin on Friday, February 12th, 2010 and go until Sunday, February 14th, 2010. What times? We operate from 4PM to 8PM. How many people can fit in our carriage? 4 t0 6… we have two 43″ seats for passengers and small children can ride on your laps. How long are the rides? We have a 15 minute ride and a 30 minute ride. 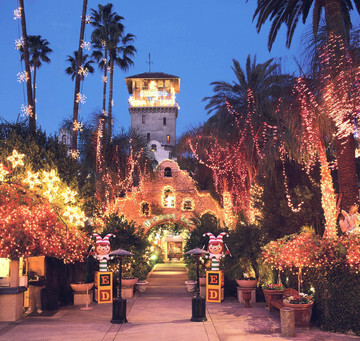 The half hour tour takes you through the Historic District homes and back by the Mission Inn. We have blankets! It gets cold downtown. You will ride in comfort under our warm blankets. Restaurants? For fine dining, try Duane’s, Mario’s Place, Saffron’s at the Riverside Art Museum, La Bella Trattoria, Mission Inn Restuarant, Las Campanas, Cafe Sevilla’s. Reservations are recommended. Other restaurants include: The Spaghetti Factory, Gram’s BBQ, the Upper Crust and many more. 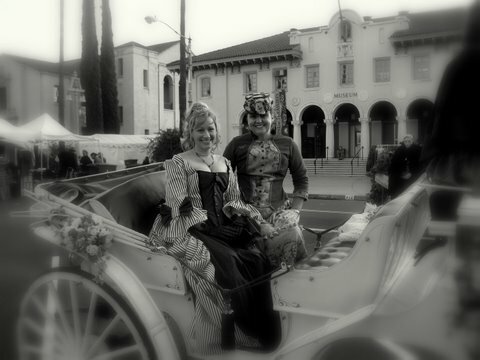 Where: Pick up carriage on Mission Inn Ave. near Orange St.
Do you have to come in costume? No, but you can if you want to. 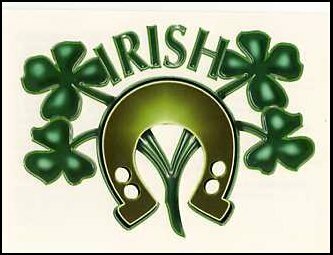 Exciting activities and events for all ages are planned. Plays, street performers, food vendors, educational workshops, musical performances and exhibits are just a few of the events planned. 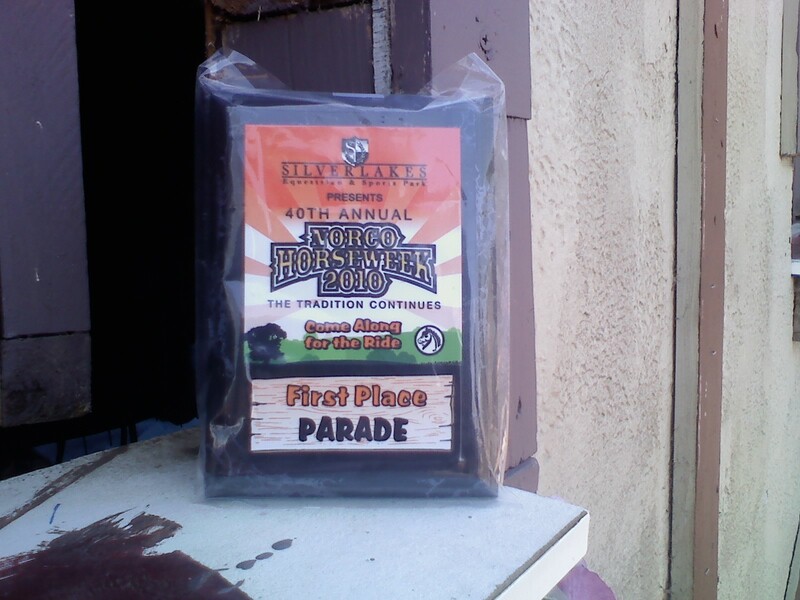 Riverside Dickens Festival is funded in part by the City of Riverside and the Riverside Arts Foundation.